There is nothing much to tell about mobiles, and perhaps you might be knowing more than what is written on its Wikipedia page. Launchers are essential for a phone element to give you the best experience of an Android device. A phone looks dull without an eye-catchy theme or a wallpaper and this being said numerous personalization apps make using a smartphone easier and comfortable. There are certain things that you cannot perform with the kind of launchers offered by the phone’s company and this where ‘Personalization’ apps come into play. These apps provide a smartphone user to customize their device with themes and wallpapers that make a decent phone look like a high-end phone. 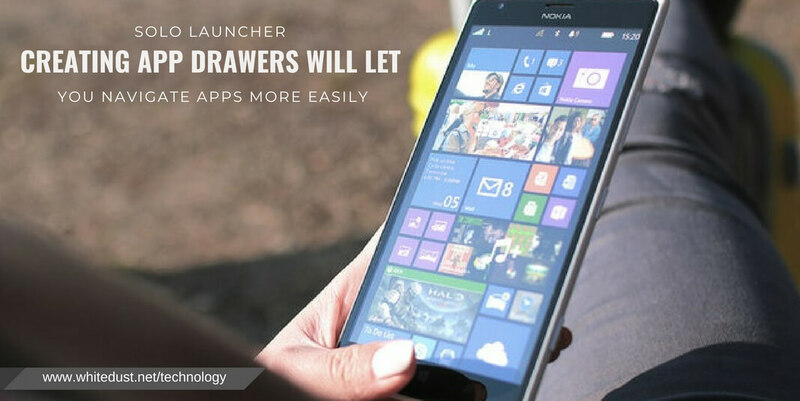 These launchers come with different set of features where it can do fascinating things and leave user asking for more from the launching apps available in the market. Launchers add a layer to your phone to make it look better and also it allows other operating system users to have the same kind of experience as the other. They let you add widgets to the home screen and lock screen this allows you to save some time you waste on scrolling through screens from the phone. There are plenty of apps that say are the best in this category and urge people in installing it from the app market but fail to meet the customer’s expectation. Some apps are available for free, some paid, and some have in-app purchases to unlock exclusive themes, wallpapers along with various other features. 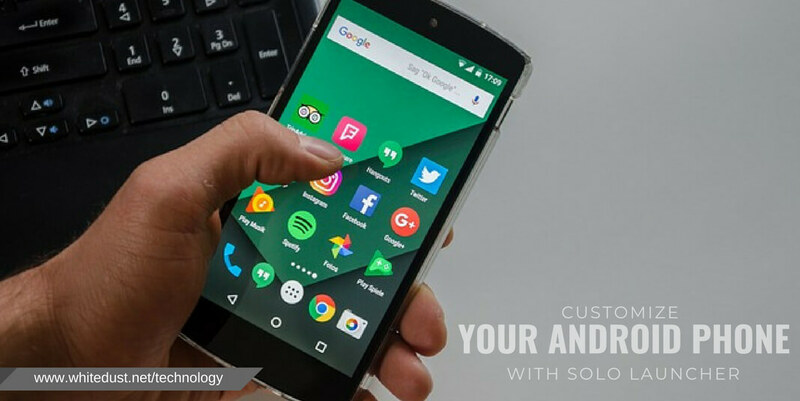 Here in this article, we will talk about “Solo Launcher” which is significantly popular among the Android users offering new and comprehensive features when compared to some of the other apps. 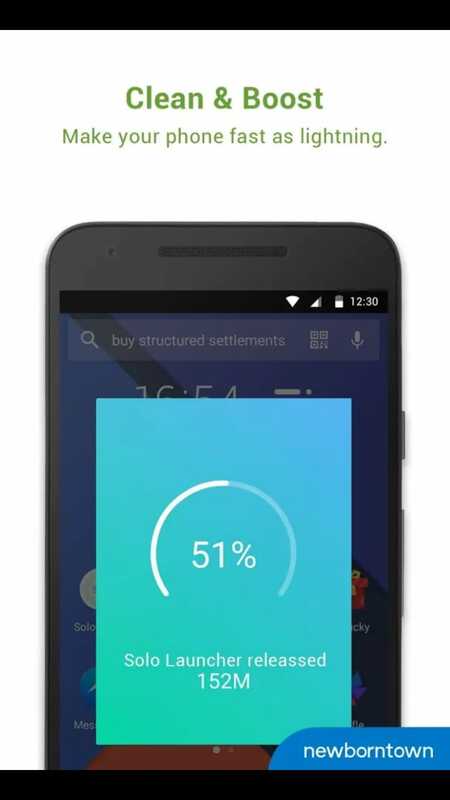 Solo Launcher, an Android launching app developed by NewBornTown for Android devices that is compatible with both smartphones and tablets. 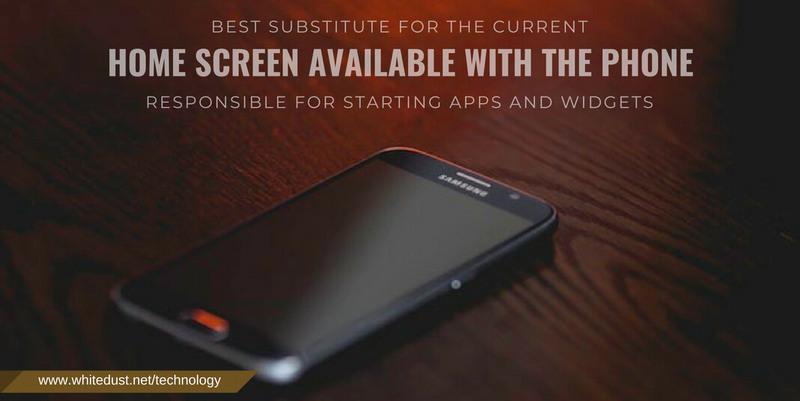 It serves as the best substitute for the current home screen available with the phone and is responsible for starting apps and widgets. It authorizes you to fiddle with your phone’s screen with amazing wallpapers, themes, and widgets. Solo Launcher has over 100 million users worldwide and is among Top 3 Launchers under this category in the Play Store. Solo Launcher was launched in March 2014 and was introduced at the Yahoo MDC as Typical case integrated with Yahoo search. With Solo Launcher you can change icons, layouts, and animations all under one application. Here are a few features which make Solo Launcher the best in the business of launching apps. Also Read: Why Are There So Many Android Versions? Now you can search and find information directly from the home screen. No matter where the information is it on your device or web, the results will leave you to ask more from the search bar. If you’ve been using an Android device for a quite a while then this feature might not be new to you. But with Solo, you can find all the information on the same screen without even opening the browser. This feature allows you to witness the ongoing activities taking place around your location and also the things happening in the world. Just right slide and explore the world. There are thousands of themes and wallpapers to choose from making your average looking phone look extraordinary. The themes and wallpapers available on its platform are free to download, unlike most other Android launcher apps. Solo Launcher lets you tinker with the icons with this Do it yourself where your photos can be set as icons with diverse effects to choose from. 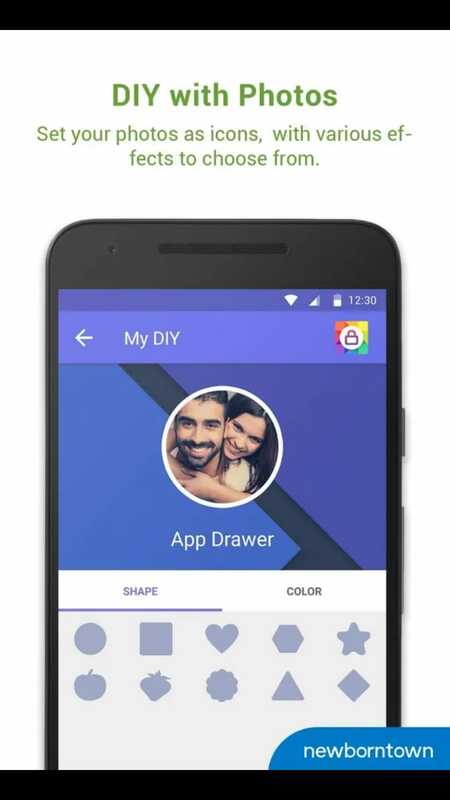 The DIY feature allows you to create and share the photo themes, album wallpapers, icons with your friends. DIY option lets you add folders, widgets, and shortcuts. With this, you can also change theme, wallpapers and alter the way you toggle screens by changing effects and layout. Gesture is a cutting-edge feature which enables like controlling the phone’s functionality by just pinching, swiping, double tap along with a number of gestures. These features can perform activities such as calling, play music, check weather and much more. With an icon to shuffle wallpapers right from the home screen, it makes a user’s life easier by not having to scroll down screens and get the best wallpaper as per your mood. Hate using a sluggish device then Solo Boost is all you want as it comes with a dedicated icon and a feature that lets you clean and boost the phone’s performance directly from the main screen. Just tap the icon and with one tap it cleans and makes your phone perform even better by clearing the RAM. So go ahead and boost your phone and get rid of the lethargic performance of your phone. With the kind of widgets, it has you don’t need any other alternative application to do the job. It includes widgets such as Boost button, Search bar, app lock, clock & weather, battery saver and many more all under one platform. What more can you ask from an application that offers you more than required? It to be minimal in size?. Then yes, you’ve found the right app for the features you were looking for. With just 8 MB in size, this one is possibly the best launcher available in the Play Store. The most frustrating thing when using a phone is that to search your most frequently used apps by toggling the screen up and down. Although you can add them to the phone’s home screen, but how many can you afford to? Not judging you but if this is the case then Solo is the best. Solo automatically places the most used apps on the home screen and making a device more conducive to use. Installing the Solo Launcher is quite simple and this process gets even easier if you follow the below steps. The last step is to download themes and wallpapers from the Play Store for Solo Launcher. And now that you are all set with the app, explore the app and do more with it as it is just more than a launcher. Now selecting apps is more fun as Solo gives you various transition effects to select an application. There are transition effects that you will not find in other launching apps and only offer to slide or swipe through screens from left to right and from up to down. With effects like a wheel, accordion, vertical, tablet and other fading effects to choose from. Select which type of effect you want to have, I have listed a few of the effects above which I found to be interesting and attractive. The last step is to save the group, just tap on ‘Save’ to complete the process of creating the app drawer. Are there any alternatives to Solo Launcher? There are quite a few but none impressed us when you compare the quality of wallpapers and themes available on it for free. But in case if you wanted to know similar apps like this, then here are a few. How to change the gesture settings? The gesture is one of the amazing features that Solo Launcher comes with and provided change the settings as per your wish. Follow these steps as gestures help you to access apps straight from the home screen. Now you will find various gestures to have access to your favorite apps. The various gestures you can perform are with the help of pinching on the screen, swiping, double tap and rotating the device. How to Hide apps on Solo Launcher? Hiding apps with Solo Launcher is easy and take no effort from your end, follow these simple steps to hide the apps which you do not want others to check. The apps you have installed on your phone will be listed. Selects the app you want to hide. 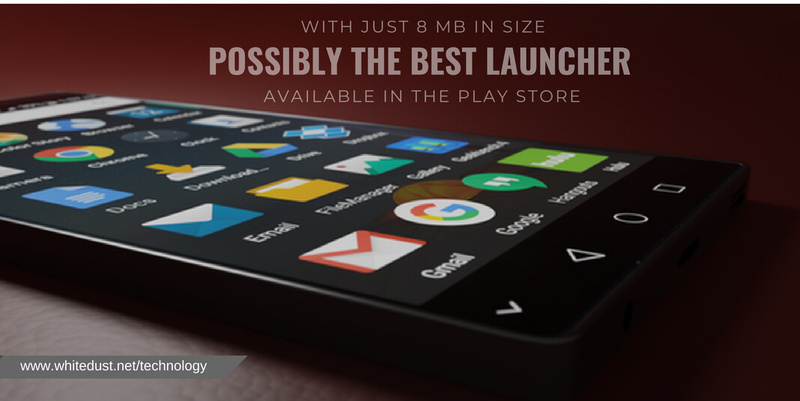 Solo Launcher comes with extensive features and leaving you to settle for this if you are looking for the best launchers for your Android phone. So is this article enough to prompt you in using this app, if yes then provide us with the feature you like the most in the comments section below.